Fibromyalgia is searched on Google around 200,000 times every month. 20 years ago few people had heard the term, but more and more people are now being given this diagnosis. If you’ve recently had a diagnosis, or have been suffering for years and are looking for a cure, how can SIRPA help you? All pain is created in the brain, and is a response to threats. Threats can come from physical tissue damage (e.g. “Ouch! I cut myself!”), but also negative life situations, fears and avoidance of unpleasant emotions. If threats are given too much emphasis in our lives, neural pathways become over-sensitised and – eventually – pain can be created by the brain as a warning about a fearful situation which you’ve experienced before. This is a completely unconscious and automatic system and it isn’t your fault. You aren’t making the pain up; it is identical to pain caused by physical damage to our bodies. Now you’ve had that brief overview, please read on to increase your understanding. And discover how we might be able to help you recover from your chronic pain. No one thinks you’re making it up. No one thinks it’s imagined. No one thinks it’s your fault. Testimonial: “Before I found SIRPA, I was spiraling out of control with chronic pain episodes in my life, but the programme allowed me to recover from the pain I was experiencing and experience joy in my life again” Joan, Patient. Watch videos from other chronic pain sufferers. As a diagnosis, it can be incredibly frightening because typically you will see it connected with words like long term, lifelong, chronic and debilitating. But what does it actually mean? Fibromyalgia doesn’t have a completely clear definition and doctors usually diagnose it by ruling out other similar conditions. Fibromyalgia is now classified as a central sensitization condition which is when the involved neural pathways have become highly sensitized. Doctors have attempted to tackle this problem throughout human history, but it’s only more recently that significant progress has been made in the field of pain science. This is largely thanks to the information gained from functional MRI scanners, where the brains of patients experiencing pain can be examined. Thankfully pain science continues to evolve, which is now really helping us understand pain, especially persistent pain, as one of our colleagues in the US explains in this video made for google . We finally have some science-backed and – most importantly – helpful information about pain. 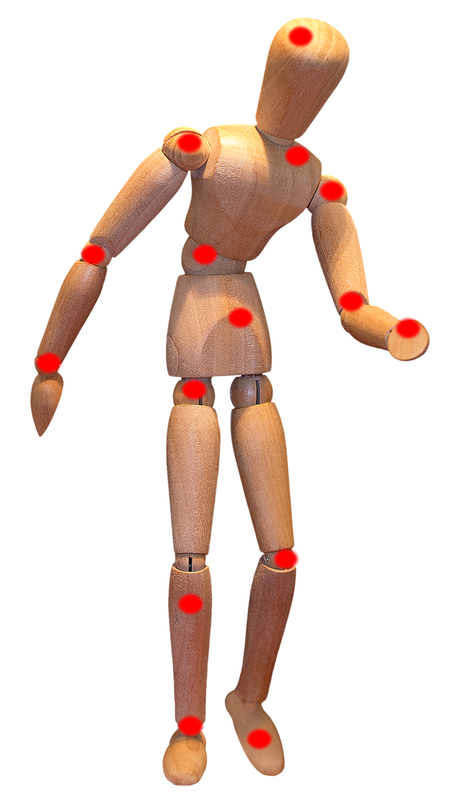 This and the growing evidence of the lack of any connections found between pain and posture, structure and biomechanics, is also helpful and this understanding can truly help fibromyalgia sufferers. How are the body and mind connected? In western medicine, we like to think of our brain and body as completely separate. However, we now know they are much more deeply connected. Our language and culture is full of examples of how we experience symptoms that are connected to our emotions and although we accept these, we tend to reject others which we’ve not heard of. You will be aware of at least some of these like: butterflies in the stomach, the need to urinate or open the bowels when anxious, plus tension headaches. Can you have pain without injury? What surprised the medical profession is, the answer is a resounding “Yes”. Evidence has been mounting that the processing of pain does not happen how we once thought. For example, if all pain is generated by the body, why do amputees have phantom limb pain, when the limb doesn’t exist any more? In addition there are some well known cases which bring pain mechanisms into question. A well-quoted case was a man who jumped onto a nail, which went through his boot. He was in agony and was taken to hospital. When they took his boot off, the nail had gone through the gaps between his toes, without causing any tissue damage. If pain is purely based on injury, how would this have been possible? Why was he in agony? Can you have injury with no pain? Maybe the answer for this question is more widespread, but the answer is also “Yes”. The most common example of this is shark bites. Often, people who are bitten feel no pain initially. They only feel pain later when the immediate threat to their life from the shark has been dealt with. The same has been found with soldiers who are in jured on the battlefield, yet don’t have pain until they are away from the danger zone. If pain is purely based on injury, how is that possible? How can pain be suppressed so effectively with such a injury? What we’ve learned is that the amount of pain someone feels is controlled by their emotional state. In the case of the man with the nail through his boot, he may have feared there was horrendous damage to his foot which potentially could have resulted in him losing his job and his livelihood. Possibly it brought up issues of financial insecurity from childhood, or maybe he was struggling financially at the time of the incident. These perceived ‘threats’ created pain, even though there was with no injury to his tissues. In shark attack cases and in a war zone, the primal response in the brain will be to focus the body on being able to escape the threat. Pain could hinder the prospect of survival, so this is not likely to be evident until the threat to survival has been removed. How does the brain decide? The reality is that the onset of pain is an incredibly complex process which happens in the brain and the central nervous system. This may sound unlikely right now, but it is true. People who suffer with persistent/chronic pain will rarely feel like this. Who would enjoy something which is impacting their life so much? Those who are born without pain (congenital analgesia) rarely live past 25 years because pain couldn’t warn them of issues with their bodies. They wouldn’t feel any pain which could let them know immediately that they had a cut, or a broken leg, or a stomach issue. That means the majority of you reading this wouldn’t be alive if you didn’t have pain to help guide you through life. When our pain systems become over-sensitised, typically through fear or other emotions, the brain learns those pain patterns. This means these pain neural pathways can be triggered in other similar situations, even when there is no structural injury to the tissues. The pain provides what is perceived to be a useful warning to a perceived ‘threat’ to the body, or even to our life. This is exactly the same system as the physical pain system which helps protect a physical injury, such as a cut on your skin, a broken bone or the tissue damage caused by cancer. No. It’s not and it is incredibly common. Pain can become accidentally connected to quite unconnected emotions or elements of your life, because “neurons that fire together, wire together”. If something is happening in your life while you have structural pain, an unconscious neural connection can be made. Genetics play a part too, by giving you a natural lower pain threshold, meaning these neural pathways can be more easily triggered. People with a lower pain threshold can also typically be more naturally sensitive to sound, light, touch or heat. Pain is closely connected with danger, or when we perceive there is a threat. Put another way, when you see danger, pain becomes more likely. If people suffer from anxiety and depression, they are more likely to perceive a situation as dangerous because they can have a more pessimistic view on life. Perfectionism; the constant fight to ensure that life and work are of a perfect standard leads to plenty of danger signals. Self-criticism; constantly feeling you aren’t good enough in some way. People-pleasing; the pressure caused by always putting others first and worrying what others think of you. The opposite of danger is safety. Leading ourselves towards a less vulnerable view of the world and becoming more resilient can significantly reduce pain. In fact, just learning and fully believing what you’re reading can give you a sense of hope, which feels safer than no hope, and may lead to a reduction in pain in some sufferers. Emotions are closely connected to pain, and typically people with fibromyalgia have emotions which have been bottled up or avoided in their day to day life and therefore have not been processed. Emotions can be perceived as ‘dangerous’ and the triggering of physical symptoms becomes part of an unconscious stress response, protecting an individual from consciously feeling these ‘threatening’ emotions. By acknowledging and expressing these emotions, the sensitivity of neural pathways can be calmed and pain can begin to settle. How we can aid your recovery? Our approach is not to manage your pain, but to provide you with the tools to resolve it, while supporting you through your recovery. 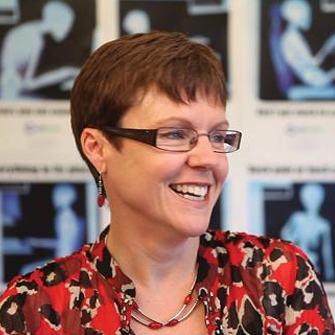 As an organisation we’ve seen and aided in the recovery of hundreds of fibromyalgia patients. The physical and emotional recovery will not be as simple as popping a pill, but it will be self-empowering and much more effective in the long term. It will allow you to become more resilient and regain your life, rather than someone who is focused wholly on pain and what you can and can’t do, every day of your life again.